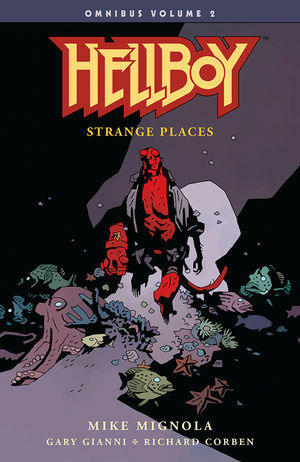 Covers Hellboy’s adventures from 1998 to 2005. “Hellboy: Being Human” [SYNOPSIS]28 pgs. s-Mike Mignola. a/r[Hellboy #54: Being Human (2011)]-Richard Corben. c-Dave Stewart. l-Clem Robins. Others: Mike Mignola (artist), Gary Gianni (writer, artist).